Roosebeck 36 Inch Heather Harp 22 String Walnut + Extra String Set & Tuning Tool. 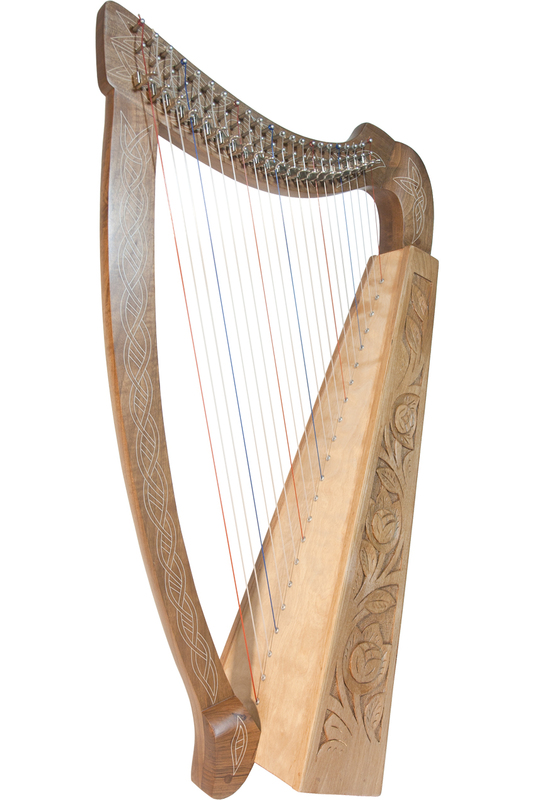 The Heather Harp™ has 22 DuPont hard nylon strings that range from C3 to C6, and it has 22 sharpening levers. It is approximately 36" high. It has an engraved and inlaid walnut frame with a birch soundboard for exceptional sound and strength. It includes a tuning tool and one extra string set. The color of the wood may be a little different than the photo.